Our standardized pump panels are the most cost-effective way for you to add the advantages of CSXi series soft starters to your system, pre-installed in a NEMA 3R enclosure. Find out more. As dairy conversions spread across the New Zealand countryside, the irrigation of pasture is increasing. 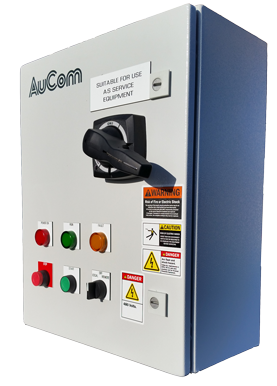 Robindale Dairy Farm in Canterbury is one of many sites using AuCom soft starters to insure optimal operation of their irrigation system.